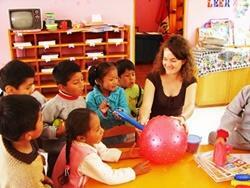 This placement combines a wide variety of daily activities aimed at improving the conditions in the local community. The majority of your time will be spent doing practical activities, including renovating and painting to cleaning and gardening at some of our placements. Your project will include some Spanish lessons in order to help you learn a bit of the local language and practical workshops so you can interact with the community. 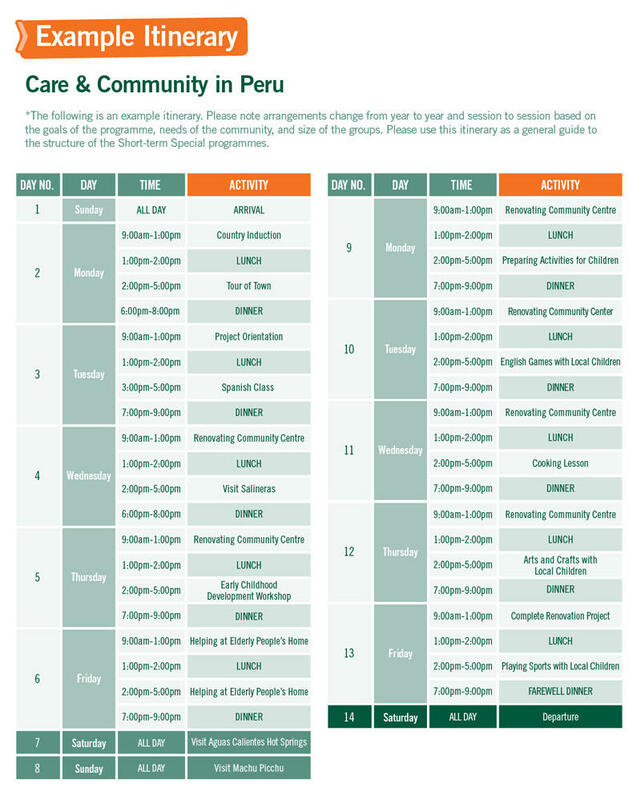 Some of your time will be spent working with local Peruvians and may include a few days in a kindergarten, helping to organise a play day with the children or spending time working with the elderly in a care home. You will be based in the Sacred Valley and will live with a welcoming host family, allowing you to really experience the Peruvian culture. Over the weekend you’ll visit the breath-taking site of Machu Picchu that Peru is famous for, and soak up the atmosphere in one of the bustling and colourful markets found throughout the Sacred Valley.